“Never trust a skinny chef!” is how the old saying goes. But let’s examine that adage and explore the rearrangement of a common cliché. As we become more aware of our diets, the effects food has on our bodies and how it makes us feel, there needs to be a basis of trust between the cook and the consumer. Take a look at the chef, the person responsible for creating the menu and training the kitchen staff on how to prepare the various dishes. 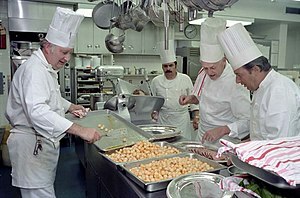 Since I have worked in kitchens, I know a lot more about how restaurant kitchens run than most. If the person creating my meal is on the heavy side, typically sauces and flavorings would be full of butter, fats, salts and sugars. Really? How many people who are overweight have a hard time identifying a proper portion size? Someone who struggles with weight will eat for the sake of eating. Someone who has emotions (hopefully all of us) will eat sometimes for comfort. Think of chicken soup when you’re ill; but when you can’t stop eating weight becomes an issue. Sometimes the food choices we make are simply because the food we choose is familiar, it is what we know. But what if that food is bad for us? What if people really don’t understand the processed food they are eating is bad? Evidence the obesity crisis in the USA. Jamie Oliver is doing an eating awareness program in West Virginia to address the problem of obesity. He goes into an elementary school and the children cannot identify fresh tomatoes on the vine, cauliflower or even potatoes. The pile of pizza, corn dogs, hot dogs, hamburgers, cakes and ice cream all over the table that represented what the family ate for a week was disturbing. Most disturbing of all is that the mom didn’t know the food was bad for them. They weren’t hungry and she thought that was good. But she is killing her family. Her 10-year old son is already 350 pounds. Really, “Well we’re not hungry”?! Shocking. How did it get so far? I want a chef who is inventive but not at the expense of my health. I want someone preparing my food with the same attitude I have for health. Obesity is a rampant problem in the USA. Identifying proper nutrients is a major issue. Processed foods, fast foods, restaurant foods loaded with fats, salts and sugars invade the diets of every day eating all around us. The basic food environment in the USA is severely lacking in good solid nutritious fresh food. Drive through any town, fast foods for everything from donuts, burgers, sandwiches, Mexican, Chinese, and Italian; fried and fast is what lines the streets. It isn’t easy to choose not to eat fast food, especially when you are hungry, the temptation is great to give in. There are many of us who are aware of what we eat. Those on gluten-free diets are aware of nearly every product they eat. Thankfully, gluten-free is easier to find these days, but there is still the issue of all that fat, sugar and sodium. When we eat out, we are at the mercy of the kitchen to actually know how to make food taste good without the added fat, salts and sugar. Slapping butter, sugar and salt onto food is an easy way to make anything taste good. Cooking like that takes no skill at all. Using salt is an important seasoning but so many far overdo the salt thing. Adding some salt to cooking water when boiling pasta, rice or potatoes is usually all you need. I love salt! I adore all the different kinds of salt there are, yet I don’t overdo it either. I am not looking for a chef who serves me a plate full of sauces and vegetables full of butter. I am looking for foods that are cooked correctly and seasoned to bring out the full of flavors. People need to learn what a proper portion size looks like. Restaurants serve enough to 1 person to feed three and yet that one person still tries to eat as much as they can because that is what they are served. Case in point: The Cheesecake Factory (Hint right there) offers a “Crispy Chicken Costoletta” which serve up a whopping 2610 calories, 89 grams of fat and 2720 milligrams of salt. Costolotta alright, cost a lotta health if you eat all that. If you really have to eat that, then break it down into three meals at least. 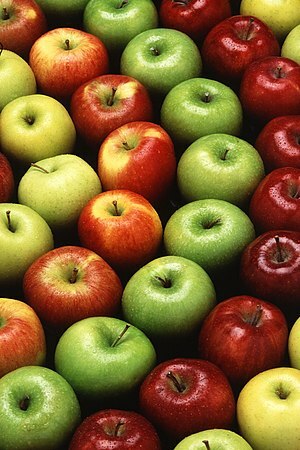 (Nutrition Action Healthletter, January/February 2012) Best of all, choose another place to eat. Watch buffets; people load up their plates as if they only have one visit. All manner of foods get glopped together on a plate so it becomes a huge pile of goop melange. 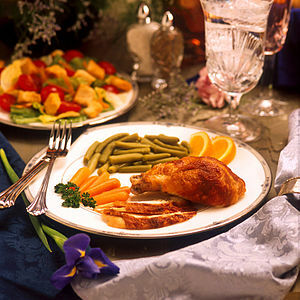 Why not go get some salad, talk, visit with your dining companions, eat, and return for entrée, then again for dessert. It seems more civil. Why are we rushing? Trying to beat the mental signal you are full? But instead they try to slip that cherry cobbler right next to the fried chicken and coleslaw that sits on top of the ranch dressing salad with “Country Crocked” yeast rolls underneath. Then they stuff it all in, make a second trip and wonder why they have bellies the size of VW Bug cars. Talking to Tyler the other day, he mentioned he was having his girlfriend over for dinner and he had to go set the table. I felt good knowing he was carrying on a family value: Setting a table and sitting there to eat dinner and talk to each other about the day. Something so small, yet it is so important. Our social and family bonds grow stronger with each meal gathering. Shouldn’t the food put in front of us be nourishing as well? The movement to better health through eating well begins with each one of us making a choice. If you don’t know how to cook or how to choose better nutrition, take a class and learn. Get your children involved with preparing meals; they are more likely to try new foods if they have a hand in making the dish. Step away from the sugar bowl! Put down those sodas and juice boxes. Drink water, teas, non-fat milk. There are even flavored waters with bubbles if you simply must have a fizzy drink. Try extra-virgin coconut and olive oils instead of butter. Your heart will thank you. I started taking a Therapeutic Nutrition class a few weeks ago. My eyes have really been opened to how severe the obesity epidemic is and that we CAN do something about it. That something is education and choice. I hope you can join me in starting something is your neighborhood. The future depends on our kids, how can they carry on if they aren’t healthy? Except eggs and milk, of course! Sorry Jared, Subway needs a better way. Make a sandwich from home. Learn to cook fresh foods and eliminate processed foods. It may take a while to actually accomplish this, but you will be rewarded with better health and more money in your pocket. If each of us took one small step towards better eating and nutritious health, we could change a nation. We can start in our own homes. The power of one can inspire another. This entry was posted in basic skills, Building Your Community, Cooking Thoughts, Making a difference, Nutrition, What every good cook should know and tagged Cheesecake Factory, chef, Convenience food, food, health, healthy eating, Jamie Oliver, Kitchen, nutrition, obesity crisis, processed food, Sugar, United States, West Virginia. Bookmark the permalink. ← How I Eat Eggs, and You?